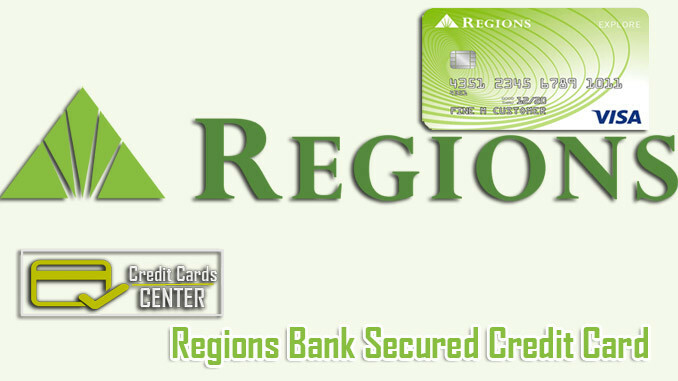 We have provided every credit cards of Regions Bank in Credit Cards Center. However we are getting questions from some of our visitors for Regions Bank Secured Credit Card. Since it doesn’t include “secured” in the name of the card, it is hard to find. The card you are looking for is Regions Explore Visa. However you can find all features of the card below on this page. This card is good for build credit and also rebuild credit. Since the card is secured, you will not get any miles, rewards and bonuses from it. However this will help you to build credit fast. I believe you are not also expecting it. Balance transfer fee and cash advance fees are reasonable with 4% rate. Interest rate is a little bit high but it is also expected for all cards for rebuild credit. See more detailed review below. Regions Bank Secured Credit Card is a good card with a few advantages and disadvantages. We will mention about these facts for consumers here. There are generally our thoughts on interest rates, annual fee, other fees and rewards of the card. If you have any question regarding the card please feel free to ask us via commenting this page below. We are going to answer you in a few hours. The card has 24.74% Balance Transfer APR, Purchase APR. When we compare it with other secured cards, it is a little bit high. However we can’t say that there are too much differences. This is one of disadvantages of the card. Cash Advance APR is not bad for a secured credit card. It is very hard to find low cash advance APR in these credit cards for rebuild credit. Annual fee of the card is one of good advantages for consumers. It will help you to save a little bit money. For secured credit cards, annual fees are generally $35 or above. The other upside of Regions Bank Secured Credit Card… You are not going to pay additional fees for foreign transactions. If you don’t know what is foreign transaction fee, let’s give you an example about this. You want to purchase a product from an online store which is based in Canada. All products prices are determined with Canadian Dollars. When you buy this product you will need to pay extra fee (It is generally 3% of the price) to purchase it. These extra fees can be a serious problem when you visit abroad or when you purchase from abroad regularly. We believe that minimum fee ($10) is a little bit high for the card. If it was $5, it could be reasonable. However the maximum fee (5%) is very good because secured cards generally asks for 5%. We have reviewed 10 credit builders or credit rebuilders like Regions Bank Secured Credit Card. We believe that it is not that bad at all. However the cad is below the overall rates of secured cards at the moment. We believe it will get much better very soon as we review more secured cards on Credit Cards Center. We can still recommend you to apply this card for rebuild credit. If you have any questions regarding this credit card, please feel free to ask us!